Not just an ordinary catalog, the Phillips Fiber Art Catalog is its own little magazine. Articles and information on our various products fill the pages helping you choose the one right for you. Maybe you'll find answers to some of your questions. This fun catalog can be yours for 3 easy payments of absolutely nothing. It's FREE! 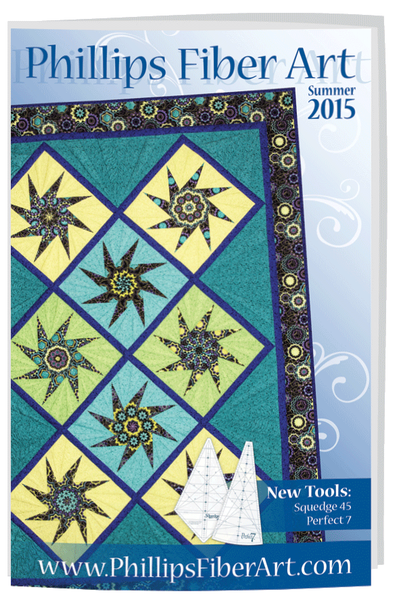 Not only is the catalog free but there are 2 free patterns included in the catalog! Included free with any order! US Customers: Order your free catalog here. International Customers: Order your catalog here. Spirit Circles are one of the free patterns included in the catalog. They are a great way to show team spirit.